Two-inch-thick ballistic glass, counter-attack sound cannon, night vision, and an anti-jamming satellite system make this Escalade a rolling vault. Have you ever found yourself cruising down the highway in your Cadillac Escalade wishing your luxury SUV was a bit...safer? I'm not talking about having more airbags or blind-spot monitoring kind of safer, but features like hidden gun ports, ballistic glass, smokescreen systems, and door handles that'll shock the crap out of anyone who tries to invite themselves in. If you have, then Wyoming-based vehicle armoring company AddArmor can help you with that—and all you're going to need is approximately $350,000. 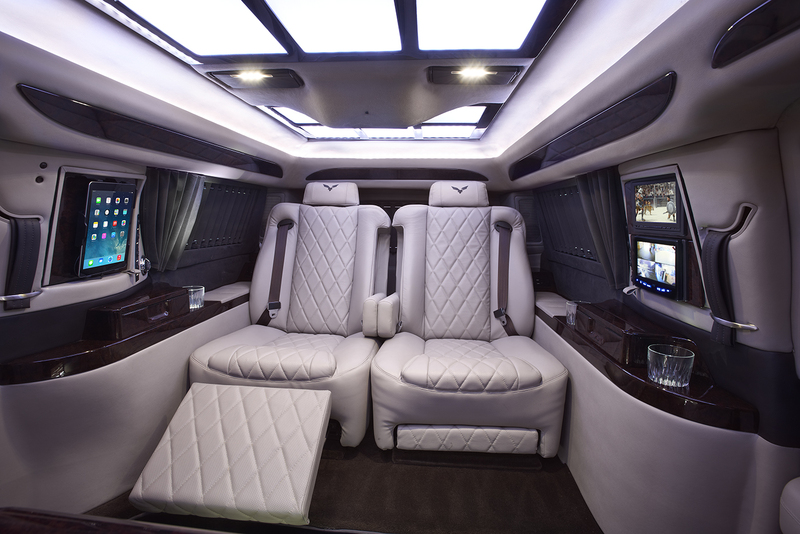 Called the "Executive Protection Escalade," the blacked-out Caddie combines some of the most advanced security and anti-ballistic technology with luxurious and private jet-like interior finishes. The end result is a nearly stock-looking exterior that's anything but in terms of performance, capabilities, and...price. So what do you get for that much dough? For starters, AddArmor claims that its Escalade with European B6 Level armoring can withstand hits from high-velocity 30-06, 7.62, .556, 9mm, and .44 Magnum rounds—including "prolonged physical attacks from blunt objects like bats and cinder blocks." Bats, phew! Also, the company claims that new carbon composite panels provide armoring that's 10-times stronger than traditional steel plates and 60 percent lighter, meaning the vehicle itself is more maneuverable and therefore faster than the average armored SUV. And, you know, that can be handy when out-running the bad guys. In the technology front, the interior sports swanky items like flat-screen TVs throughout, executive seating, Wi-Fi, and premium audio. In terms of security tech, the vehicle is connected to the company's "911 GSOC" center for 24/7, satellite-activated emergency response around the globe. An active mine/explosive device detection system is also employed onboard, as is anti-jamming satellite communications system and law enforcement (red/blue) lighting. It's not clear if the engine receives any kind of performance treatment, but the suspension is beefed-up to comply with the additional weight, and larger brakes are also installed. 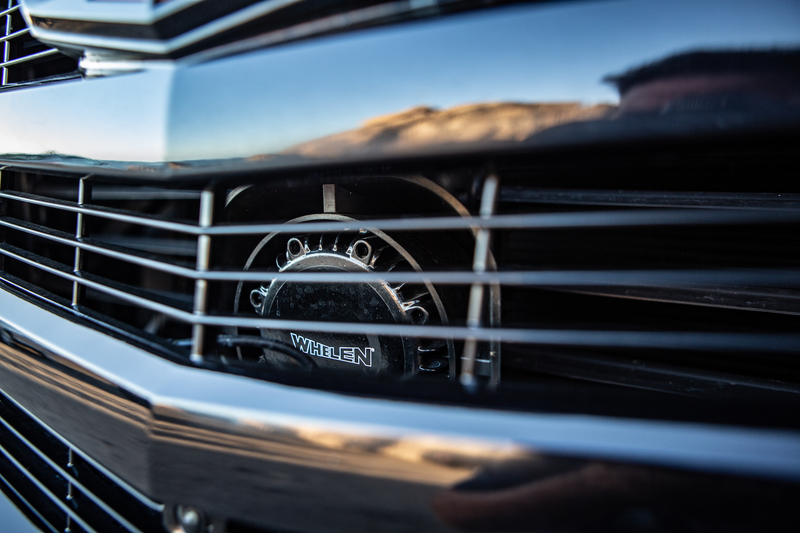 According to an AddArmor spokesperson, it takes approximately 1,300 hours to build an Executive Protection Escalade, and the current wait time is about seven months from order to delivery.